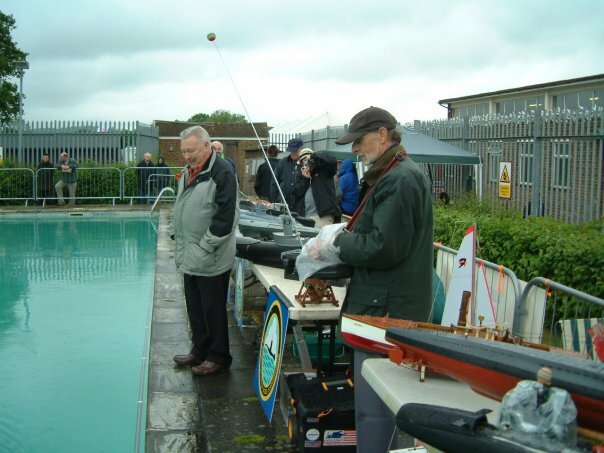 Advance warning of the Merstham Model Steam Show: dates are 21-22 May 2011. Further details will posted up by Roger as soon as they available. Wow that was quick, Richard! A SWIMMING POOL FOR THE WHOLE WEEKEND! The great British Public in attendance. Camping available in nice part of Surrey. That does look well David...I've got some more pics of the pool somewhere, I think. Seeing Nigel in the rain reminds me that this year the organisers have also offered the AMS a stand in the nearby Marquee. That'll be even better, the luxury of being indoors when at a rainy show...or am I getting old? What do you mean GETTING!!!!!!!!!!!! It will also be cold and fresh water! What some of our "swimming pool enthusiasts" forget is that pool water is often as saline and corrosive as sea water (all that w** w** goes somewhere!) 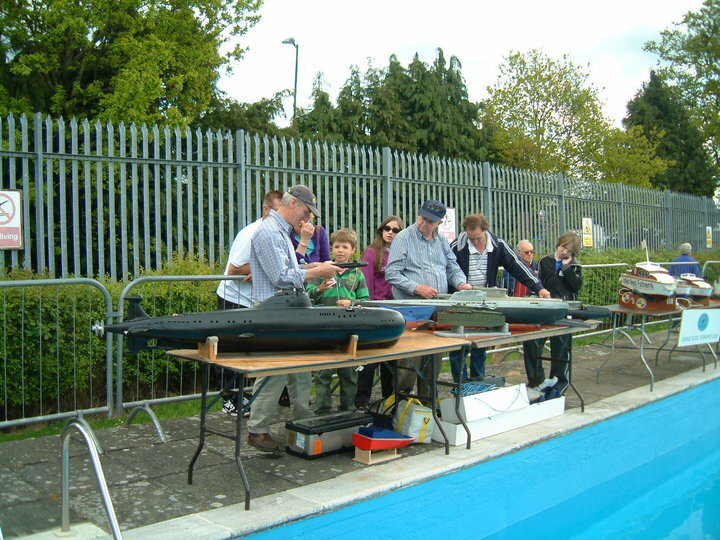 and pools are warm so ballasting is tricky and often your adhesives melt! 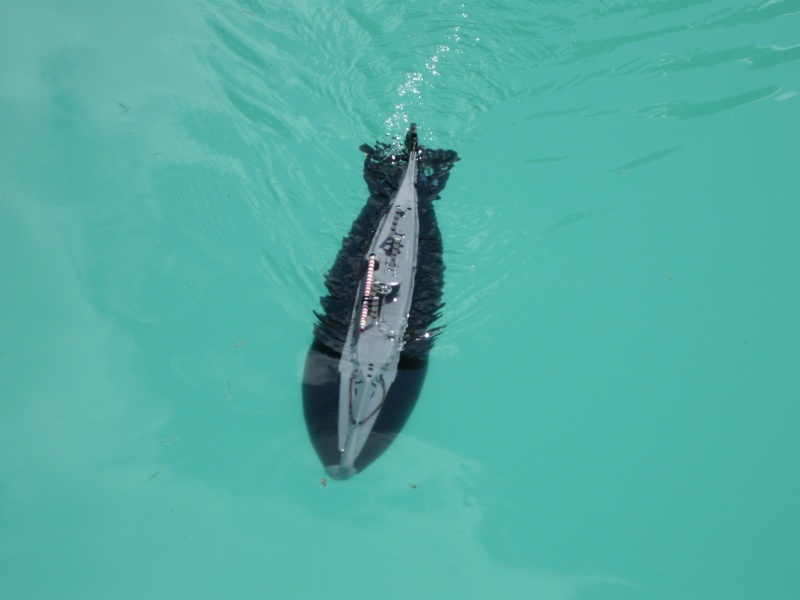 In the four years I've been running the Dive-ins, I've had no reported problems such as described, and everyone has left with their submarine in one piece, albeit one or two waterlogged, but that wasn't due to the water treatment! Chlorine content is kept pretty low in many pools now. 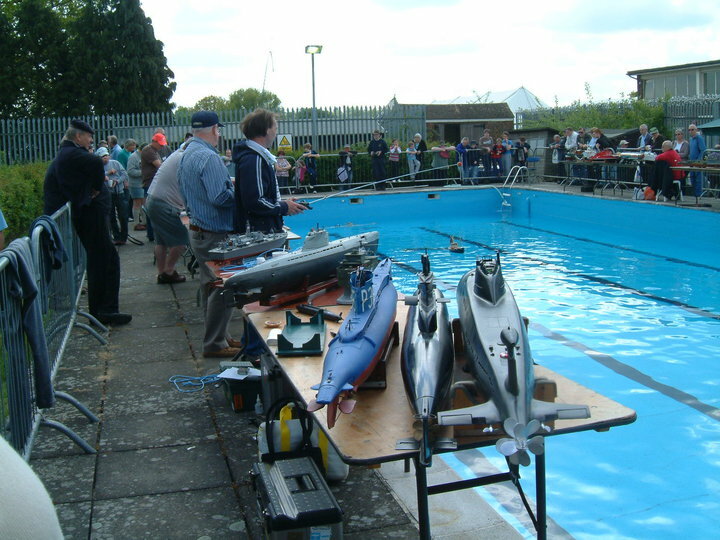 The pool at South Norwood is part cleansed using ultraviolet, which is quite novel- like a fish tank! Brockwell has very low chlorine, as it's outside and freezing cold, so any self-respecting germ with any sense would be off and out of it. St Albans is pretty much close to fresh water- a little bit of chlorine is 'sprinkled' in to avoid it going green too early in the season. We are not talking chlorine but chlorides. 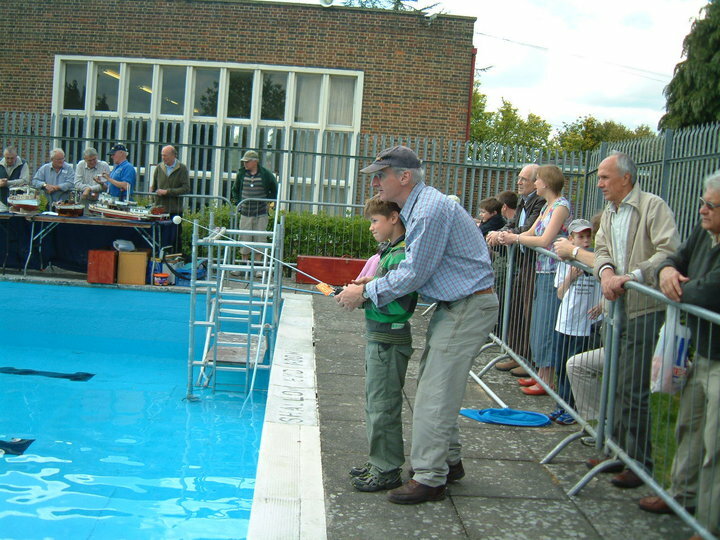 Public pools, (particulary those with many children present! ), have high levels of chlorides. it is acceptable to run a pool with 3 times the levels that would be the maximum in drinking water. Not good for your electronics if dunked! Just a request to AMS members to let Roger or me know if you will be requiring a (free) ticket. Everyone who asked, should have received their tickets by now. Enjoy the show and don't forget the AMS stand in the marquee!